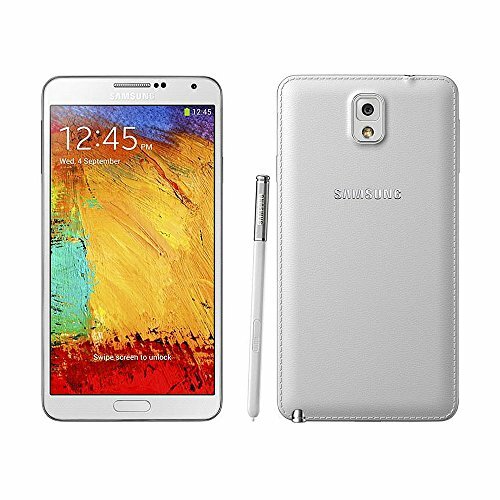 Samsung Galaxy Note 3 is a totally amazing cellphone released in September 2013, which features a really big 5.7" multi-touch display, a high speed Quad-Core processing unit clocking at 2300 megahertz, a 13 MP back side camera and a 2 MP front facing camera. But let's get into some more details. 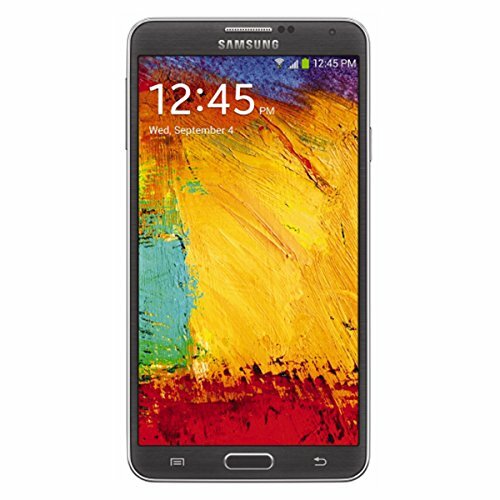 Samsung decided to equip the Note 3 using a Qualcomm Snapdragon 800 MSM8974 chip, which holds a high-tech Quad-Core CPU running at 2.3 gigahertz and a large 3 GB of RAM. To collaborate with graphic intensive games and applications, it also counts with an Adreno 330 GPU working at 450 MHz. The Note 3 has a 64 GB amazing internal storage memory and an SD card slot, allowing you to store tons of apps, games, songs, pictures and videos without having to worry about how much storage capacity is left. This phone is available in three different colors, black, pink and white. This cellphone feels much lighter than what you expect from a phone like this. This phone is a very compact phone, considering it has a 5.7 inches display and it only has 5.95" long and 3.12 inches wide. This cellphone has an inspired design, with a thickness of just 0.33 inches. 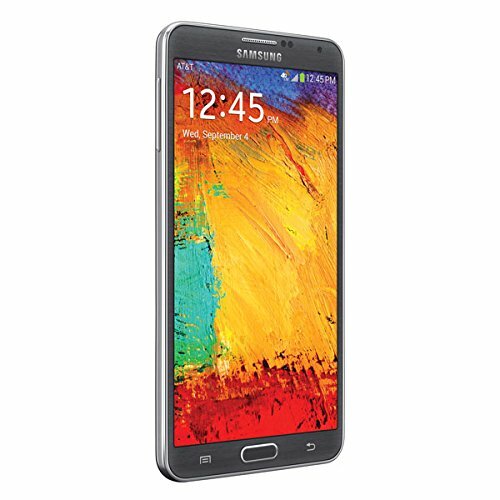 The Samsung Galaxy Note 3 features two cameras, a 13 MP back camera and a 2 megapixels front side camera. Even though it's 13 megapixels may seem amazing the back camera has a small 0.326797-inches sensor which makes photos be less detailed and darker than you would expect. It is also able to shoot videos up to 3840x2160 (4K) at 30 frames per second, and slow-motion videos in 1280x720 (HD) up to 120 fps. In addition, the camera features a lot of useful characteristics: flash, auto-focus, digital image stabilization, fast burst mode, smile detection shooting, face detection shooting, geo tagging and HDR mode. 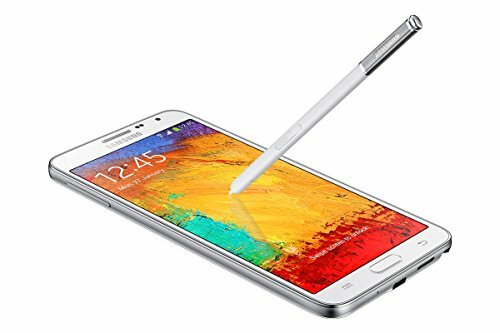 Samsung equipped the Samsung Galaxy Note 3 with a gorgeous 5.7-inches screen, and a 1920 x 1080 (Full HD) resolution, which makes all images and videos look beautiful and brightful. This screen uses Super AMOLED capacitive technology, and can detect multiple fingers at the same time. This cellphone provides Wi-Fi capability (and it can share it with other devices around, acting as a mobile hotspot), LTE 4G high speed connection type and also HSPA+ data connection, which is a bit slower 4G network or 3G fast internet connection, supported by HSDPA, HSUPA, UMTS and EDGE technologies. This cellphone supports dual SIM so it is able to use two different phone numbers and even different carriers and it can connect to both CDMA and GSM carriers. This cellphone also features many interesting features like Bluetooth (4.0), GPS, Infrared Port and NFC (to trigger actions, transfer data or make payments by holding your cellphone close to another NFC device or tag), and multiple sensors like Light Sensor, Proximity Sensor, Accelerometer, Gyroscope, Barometer and Compass. 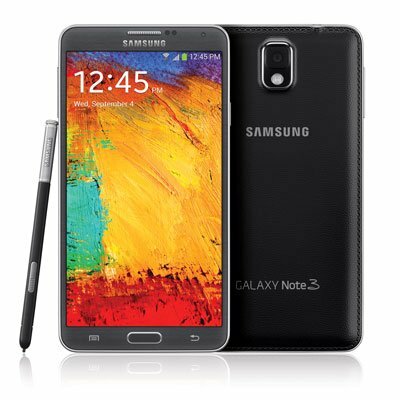 The Samsung Galaxy Note 3 counts with a big 3200 mAh Li-Ion replaceable battery, enough to provide this cellphone with an incredibly long battery duration. Samsung reports a stand by time of 528 hs and a talk time of 25 hs for this cellphone. This phone is very well priced considering it's an incredible cellphone and it only costs 245 dollars. It doesn't matter whether you want this device for playing games, are looking for a social cellphone, need a phone for work or are an amateur photographer, you will definitely love this phone.